The band's tour began in Canada, and hits the United Kingdom, Europe and Central America. MANCHESTER, Tenn. — U2 turned their first headlining appearance at a U.S. music festival into Bono-roo. 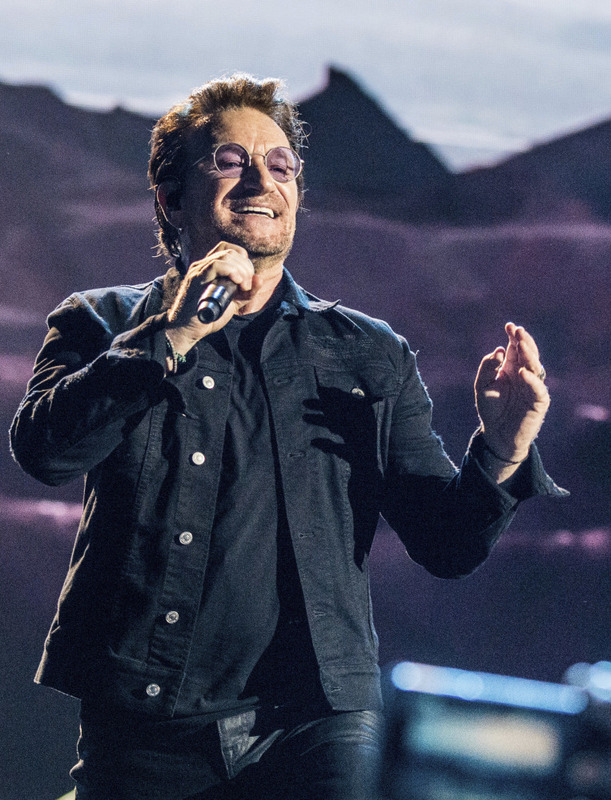 The Irish rockers performed a two-hour set Friday night at the Bonnaroo Music and Arts Festival in Manchester, Tennessee, as part of their world tour celebrating the 30th anniversary of their Grammy-winning “The Joshua Tree” album. They played the full album, as well as some of their other hits, including “New Year’s Day” and “Beautiful Day,” to tens of thousands of music fans. The band’s tour began in Canada, and hits the United Kingdom, Europe and Central America through Oct. 19. The band has previously played the Glastonbury Festival, but their appearance on the Bonnaroo lineup this year was a huge get for the 16-year-old music festival. Prior to their set, U2 guitarist The Edge received the Les Paul Spirit Award in a presentation from the Les Paul Foundation on the festival grounds. The Edge, whose name is David Evans, called Paul an inventor and innovator who pioneered advances in electric guitars and recording. The political nature of the album, which was inspired by the band’s fascination with America, was reflected on giant screens behind the band. The screens showed images of female activists, the American desert and poems from American writers. Often Bono would stop singing to let the chorus of voices from fans complete the song.